JD Williams sporty swimsuit. 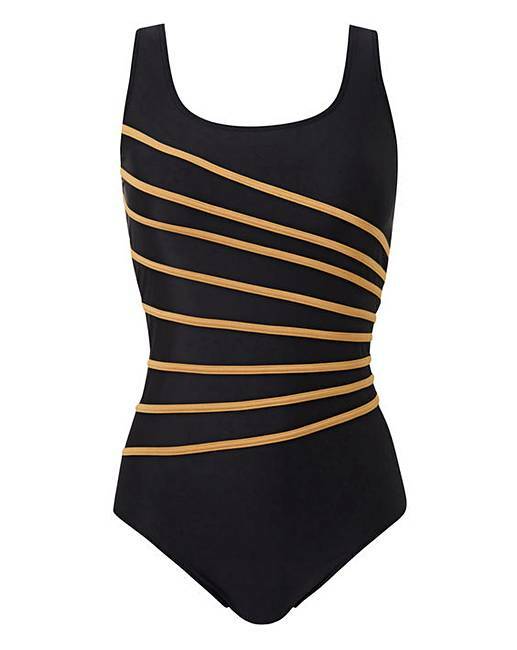 A medium control swimsuit with a high leg line, complete with fixed foam cups and inner bust support. The perfect piece for lengths in the pool or your holidays.